Developer website: Intemodino Group s.r.o. Is there a better alternative to Fraction Converter? Is Fraction Converter really the best app in Mathematics category? 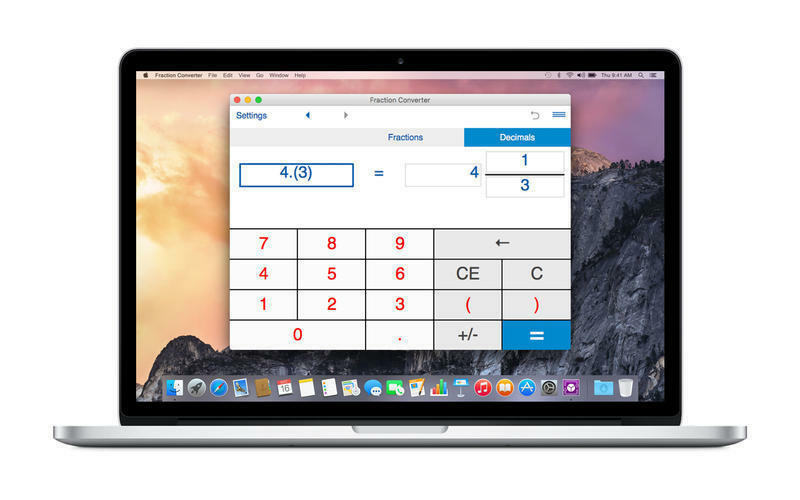 Will Fraction Converter work good on macOS 10.13.4? 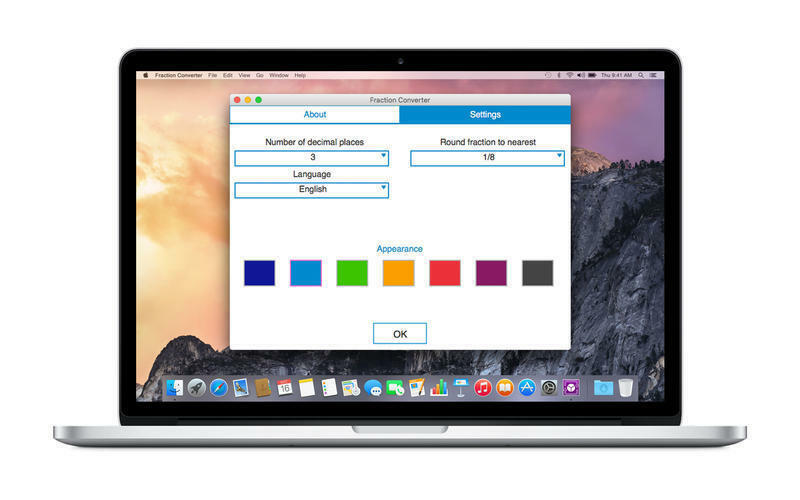 Fraction Converter allows you to convert factions to decimals and vise versa. Supports proper and improper fractions, mixed numbers, terminating and repeating decimals. To convert a fraction to a decimal number, tap ‘Fractions', input a fraction or a mixed number and tap "=". To convert a decimal number to a fraction, tap ‘Decimals’, enter a decimal number using the decimal point "." as separator (eg. 1.23) and tap "=". 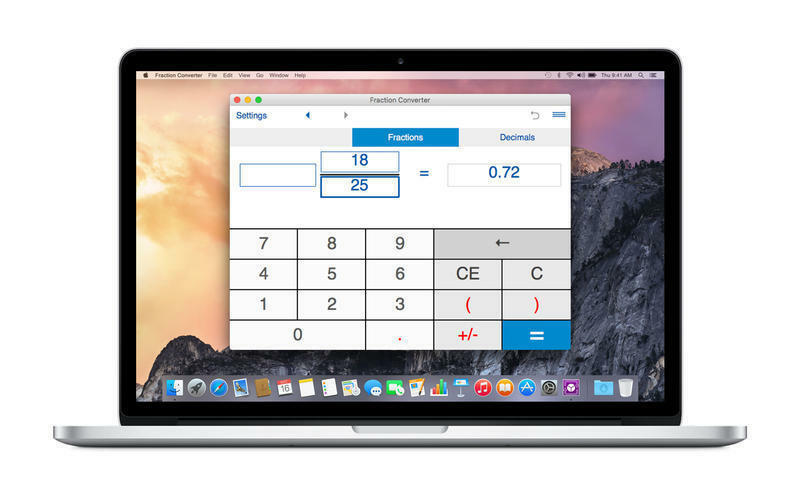 You can use this calculator for both terminating decimals and repeating decimals. Fraction Converter needs a review. Be the first to review this app and get the discussion started! Fraction Converter needs a rating. Be the first to rate this app and get the discussion started! For repeating decimals enclose the repeating digits in parenthesis. Eg. type 0.24(3) for 0.24333... If the number is 5.123123..., type 5. (123).